Background checks on the company. Remember, you are interviewing the company as much as they are interviewing you. Accordingly, have you undertaken a Dun & Bradstreet search on the proposed employer? If the company isn’t paying its bills, why would you want to work for them? Personal security issues. Have you properly investigated the personal security issues that you may be confronted with in the city/region where you are being asked to work? The web site of the Department of Foreign Affairs and Trade would be an appropriate place to research these issues. An insurance audit. You need to undertake a proper insurance audit to ensure that all of the risks to your life, health and property are properly covered while you are away. If you suffer illness or injury while overseas, it is absolutely essential that you have income replacement insurance, disability insurance, health and dental insurance and life insurance. Informal discussions with prior executives. This may not always be possible, but where it is, you could consider speaking (on a confidential basis) to any former executives of the company. They may be able to provide you with insights regarding internal politics and personalities that you are unlikely to glean from the recruitment consultant.It could be very useful, for example, to find out that the person to whom you will be directly reporting is regarded by many within the corporation as a sociopath. This may involve some digging around, but the more you can find out about the company you are proposing to work for before you leave the country, the better. Accommodation in your foreign destination. Have you considered the rental/property market in the country in which you will be working? Until you know how secure the position will be, you should avoid signing any long-term lease commitments. If you can, you should negotiate short-term leases with options to renew.It is better by far that you negotiate with the company that they are responsible for providing accommodation to a suitable standard. This means that, if you are suddenly forced to leave because your employment has been terminated, you are not exposed to any action at the initiative of the landlord for lost rent. Managing your home in your absence. 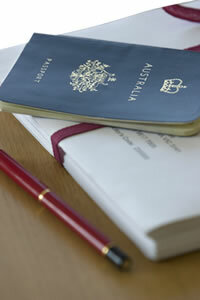 Have you considered what you will do with your own property while you are away from Australia? If you can afford it, you may consider leaving the property vacant for the probationary period under your expatriate agreement. In the event that you need to return to Australia quickly, you would therefore not to have to worry about your accommodation upon your return in what would no doubt be stressful circumstances.If leaving the property vacant for this period is not feasible, have you made contact with any managing agents who could look after your home and find suitable tenants in your absence?You should bargain hard to obtain the company’s approval to pay for your relocation expenses to the foreign destination and upon return to Australia in the event that the contract is terminated for any reason. Immigration status. On the assumption that your entry into the foreign destination is permitted on the basis of your proposed employment with your new employer, what happens if your employment is suddenly terminated? How long after the termination must you leave the country?Is there any documentation which your new employer would need to complete and/or sign which would assist you in remaining on in the foreign country at least until you have the opportunity to either find alternative work or make arrangements to return home? Estate planning. None of us like to think of it, but the fact remains that approximately 600 Australians die every year overseas. It is essential that, before you leave, you properly prepare your estate in the event of a premature death. Your health. You should not make any assumptions regarding your personal health and whether you are up to the travel and relocation. Being hospitalised is never pleasant, particularly in a foreign destination, so if there are any medical issues, it would be advisable to find these out before you leave and have them treated here.You should also realistically consider whether your spouse and/or children will be able to cope with the foreign destination and being away from home. If they are forced to return home early leaving you in a foreign destination, you may wish that you had never accepted the offer of employment in the first place. When dealing with a recruitment consultant/senior company executives, take a careful note of any representations which may be made regarding pay and conditions. The Competition and Consumer Act 2010 is proving particularly important in executive contract litigation. Under this legislation, representations may be actionable if they are misleading and/or deceptive. It is strongly recommended that you cultivate the diary habit, as a detailed contemporaneous file note can be invaluable when reconstructing events. It would also assist if you could create a paper trail of confirming e-mails as to the representations that have been made to you. You should avoid using the word “representations” or wording your correspondence so that it sounds as if it has been written by a lawyer. All you need say is that you “confirm” the position title, salary and conditions etc. and whatever else that has been said to you. If you have been headhunted for a new role, and you are already employed in another position, you should make sure that the recruitment consultant realises that, if you accept the proposal being offered, you will be leaving a lucrative opportunity with respect to which you had long-term prospects. If you wish to save yourself a lot of stress and disappointment with probably disastrous repercussions for your family, you need to pay close attention to the expatriate service agreement. The discussion that follows below has been in no small part drawn from the experience of many senior executives If you wish to avoid making the same mistakes then you should adhere strictly to the following principles. For a general discussion regarding the negotiating of an executive employment contract, you should refer to the article on this website entitled Negotiating an Executive Employment Contract. The material below will focus on those issues particular to expatriate service agreements. Have a clear understanding of the legal status of the company that is employing you, whether it has recognition and assets within the jurisdiction and, if not, be aware that this may cause problems later. Is it a locally incorporated Australian company or a foreign legal entity or joint-venture company with no presence in this country? ; i.e. you need to establish whether or not it is a “Recognised Foreign Company” within Australia. If it is not a “Recognised Foreign Company within Australia”, then if legal proceedings have to be subsequently commenced, there may be complications. This arises because, while the proceedings may be able to be issued in a local Australian court, the actual court document will need to be served on the foreign Corporation in its country of origin. There may be a local Australian lawyer who will accept service of the court documents on behalf of the foreign Corporation but if this is not the case, this will necessitate instructing foreign lawyers to arrange for service of the court documents. There is also the problem of subsequently enforcing a judgment against a company that does not have assets within the jurisdiction. If it is being suggested that your contract is with a Non Recognised Foreign/Joint Venture Company which does have operations within Australia, then the obligations of such a company should be underwritten by the local Australian company. If this is not possible, or you cannot receive these assurances, you should understand that, if you need to sue that foreign Company, and should it choose not to honour its contract, then you may well have to do so in a corrupt legal system. At the very least, you may face additional costs and delay in pursuing your rights. In practice, this would mean that your legal rights would be unenforceable. Has agreement being reached on your position description, duties and responsibilities, and the person to whom you report? It is within your interests that this is as specific as possible. You should not agree to any arrangement under which these components can be changed after the employer has simply “consulted” with you. By pinning the company down to a specific position description, your objective should be to minimize their discretion to change the terms and conditions of your employment. Has agreement being reached on your salary package and all of its components as well as the tax treatment on those components? Have you discussed the salary package with an accountant specialising in expatriate tax and how this might be repackaged for your benefit? Determine whether there is a Human Resources Policies and Procedures Manual/International Assignment Policy that will be incorporated into your expatriate employment agreement. If this is the case, you should carefully examine its contents, its relationship to the contract of employment and which document takes priority in the event of conflict. What is said in these policy documents may significantly affect your rights. Understand the difference between a fixed term contract and a contract of indefinite duration and how the expatriate agreement interacts with the original contract. A fixed term contract is one which has a fixed end date and cannot be brought to an end by the employer before the expiration of the term. This means that, if the contract is of this nature and is brought to a premature end by the employer, the executive is entitled to receive by way of damages the unexpired term of the agreement. However, if the contract contains a termination clause entitling the employer to terminate the executive’s employment upon notice and the contract also has a fixed end date after which it expires, this does not mean that it is necessarily a fixed term contract. It may simply mean that the contract cannot continue past the date stipulated in the contract, but at any time prior to the expiration date it can simply be terminated by the employer on giving the stipulated notice in the termination provision. A contract of indefinite duration on the other hand simply means that there is no specified end date and that it continues on indefinitely and either party has the right to terminate the agreement upon providing notice to the other. 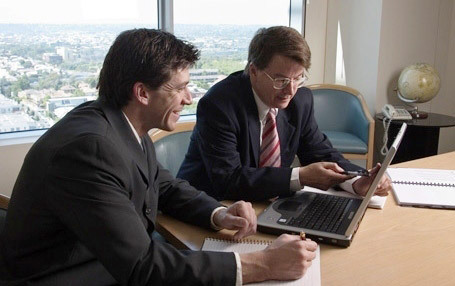 It is not uncommon for executives to believe that they have been “guaranteed” a minimum period of employment, only to discover on closer analysis that the contract they have signed is either of indefinite duration or, even if it does have an end date, that it enables the employer to terminate prior to the expiration of that date. Finally, you must make sure you understand how the expatriate agreement interacts with your original contract. When negotiating a remuneration package, make sure it includes the cost of living/living away from home allowance as well as a cost of living allowance adjustment. You should also negotiate a bonus arrangement based on clearly achievable key performance indicators that operate in a nondiscretionary way. In other words, although there may be a bonus payable depending upon the overall performance of the company, there should nonetheless be an individual bonus that is solely confined to your own performance. This should effectively compensate you for the risk and disruption to your life in accepting the overseas appointment. The bonus should be payable irrespective of the timing of your departure from the company. Taxation returns should be prepared at company expense and you should consider the inclusion of a “tax equalisation” clause under which you will not be penalised for paying excess tax in the host country that exceeds what you would have paid had you remained in the home country. You should take accounting advice on this issue. Negotiate the status of your international airfares and adequate home/compassionate leave. 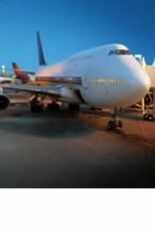 For travel from home country to host country, you should negotiate as a minimum a business class air ticket for you and your family with perhaps stops along the way.In addition to annual leave, you should also negotiate for home leave of two weeks or more to enable you and your family to remain in contact with friends and family at home. Again, this should be on a business class air ticket basis.You should also negotiate generous compassionate leave entitlements. This leave should be triggered if your spouse and/or children become sick or injured while in the host country requiring their repatriation to Australia. Anticipate that you may have to take more personal luggage than you expect and negotiate for the company to pay for this. Until your unaccompanied personal property arrives, you will almost certainly be facing the prospect of having to take excess air baggage and you should negotiate for a generous personal and family allowance. This should also apply on return travel on completion of the assignment. Pay particular attention to the relocation and storage of personal effects. All the costs associated with relocating your personal property from the home country to the host country should be paid for by the company. Similarly, on completion of the assignment, it is essential that the company clearly pay for the return costs.In addition, there is the question of storage of your personal property that you do not take with you. You should ensure that, at all times, the company prepays for the storage of this property and that you can at any time gain access to and remove these possessions.This last issue is particularly important if you are suddenly terminated and need to return to the home country only to find that the personal property and chattels that you need in order to resume your life are locked up by the company and will not be released to you until all issues between you and your former employer are resolved. Don’t forget you may need temporary accommodation prior to departure. You may be in a situation that you have already rented out your home or apartment before leaving for the host country. In this event, you should negotiate that the company pays for a fully furnished and serviced apartment prior to your departure. Similarly, on your return on completion of the assignment, you may be in need of such temporary accommodation while your tenants move out. The contract should also cover this situation. Don’t forget the importance of a relocation consultant and how expensive it is to set up a functioning household. Access to a relocation consultant could make a big difference to making the transition to the host country. You should shop around and obtain some recommendations as to which firm provides the most effective service. The cost of this should be borne by the company.The cost of restocking the larder, obtaining kitchen equipment, purchasing appropriate clothing for the new climate, arranging for an international driver’s licence etc., can mount up. You should negotiate for an allowance to cover these types of expenses. Negotiate temporary accommodation in the host country while establishing permanent accommodation. It may be that the company already has a fully furnished and serviced apartment waiting for you upon your arrival in the host country.However, if this is not the case, and it is expected that you will find your own accommodation, you should negotiate a generous allowance for temporary accommodation on arrival to allow sufficient time to organise this. Give proper consideration to what you will be returning to at the end of the assignment. You should consider in advance the position you will be in at the conclusion of the expatriate assignment. To what position will you be returning? And on what package? If there is no position to return to, what rights do you have to notice and severance? The above checklist is not intended to be exhaustive, but will hopefully be of assistance to you in negotiating your expatriate employment agreement. Needless to say, it is our strong recommendation that you seek legal advice throughout the negotiation process, and, in particular, before signing the agreement.